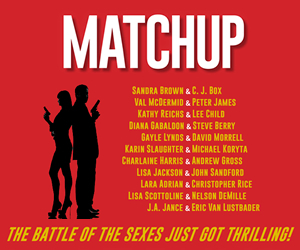 Davie Richards is a female Homicide detective, a petite redhead, a second-generation LAPD cop, an expert marksman who carries a Smith & Wesson .45, and a composite of every strong woman author Patricia Smiley has ever known. She’s also the protagonist in a new hardboiled detective series that begins with PACIFIC HOMICIDE. Most cops spend their entire careers without firing a weapon in the line of duty. Davie is an outlier, a cop who killed a suspect to save her partner’s life. While she waits for the police commission to rule on the shooting, she’s called out to probe the gruesome homicide of Anya Nosova, a nineteen-year-old Russian beauty whose body is found in the Los Angeles sewer system. With her own case in limbo, Davie knows any mistakes in the investigation could end her career. As she hunts for the murderer, somebody begins to hunt her…and it’s no longer just her job that’s on the line. In PACIFIC HOMICIDE, Smiley has crafted a tight story with a great female lead that seems destined for the big or small screen. 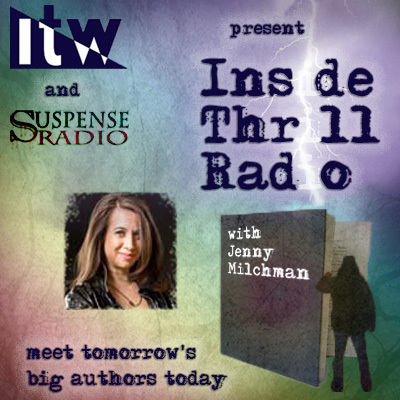 In this interview with The Big Thrill she talks about her longstanding work with the LAPD and how it contributes to her career as an author. This new series is considered “hardboiled,” whereas you have written detective/amateur sleuth novels previously. What do you see as the major differences in these subgenres, and is one more challenging to write than the other? The difference in subgenres can be boiled down to tone, attitude, and subject matter. 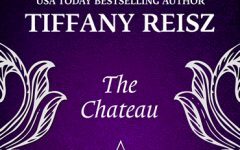 All writing is a challenge, but the bigger issue for me wasn’t switching subgenres, it was changing from first person narration to third person. My previous four novels are traditional mysteries with a first-person protagonist who has a sense of humor. It’s an intimate way to tell a story because we always know what the character sees, hears, and feels. The tone in PACIFIC HOMICIDE is darker and the writing is more serious, although for me humor is essential to a satisfying read, so you’ll find some of that in the new book too. The story is told in third person mostly in Davie’s point of view. I chose a less intimate POV to tell the story because of Davie’s stoic nature and her inclination to keep people at a distance. The change was an interesting learning experience. 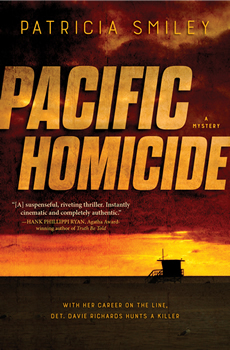 Besides the fact that you live in the Los Angeles area, what makes that setting really work for PACIFIC HOMICIDE? And can you share a bit about your volunteer work with the LAPD? I’m from a smallish town in Washington. When I moved to Los Angeles everything seemed new, strange, and often hilarious. I wanted to write about those things. People said, “Why write about L.A.? It’s so been done before.” True, but there are over three million people in the city, over ten million in the county, and over 150 languages spoken in the city’s schools. At the end of every freeway exit is a new neighborhood and another writer’s story. There’s plenty of room for everybody. How I stumbled into the LAPD: When I was writing my first book, False Profits, I wanted to place a scene in a police station, but I’d never been in one before. That’s a good thing, right? One night I went to a Neighborhood Watch meeting and a Senior Lead Officer from Pacific Division asked for a volunteer to create a flyer for a neighborhood cleanup. I raised my hand. She was impressed with the result and encouraged me to volunteer. One of the first things they asked me to do was lead a guided tour through the station for their open house. Talk about divine providence. I worked with the LAPD for 15 years, mostly assigned to Pacific Division but for a time with detectives at the LAX substation and on a short-term project at Hollywood Homicide. The last five years was spent in Pacific’s detective squad room. My supervisor saw potential and sent me to law enforcement computer database training, detective school, and homicide investigation school. He trained me to investigate burglaries and thefts, interview witnesses, victims, and suspects, write search warrants, and present cases to the DA’s office. During my time at the division, I also learned how easy it was for the best of cops to run afoul of the disciplinary system. These and other stories inspired PACIFIC HOMICIDE. You have stated that your acting career was priceless preparation for a career as a novelist. Can you explain? First, I can’t legitimately call acting a career. It was my original college major and for a long time my passion and my pastime. However, I worked enough to learn: 1) Most actors, at least the good ones, prepare for their roles by developing character biographies that include not only physical characteristics (height, weight, hair color, mannerisms, etc) but also back-stories and psychological profiles just as novelists do; 2) Acting requires action. So does novel writing. On the stage or in film, the director blocks the scene with input from the actors. Writers are the directors of the book world. Novels aren’t screenplays. They shouldn’t have pages of static dialogue—AKA: “talking heads.” Let your characters do something while they’re talking, like fight off killer bees, especially if the action reveals character or advances the plot; 3) Stage a private dramatic reading of your book, out loud, alone, in front of a mirror, or sitting at your computer. Listening to the music of the words will tell you if anything sounds clunky or if explanations or transitions are cloudy or missing. Imagine an actor recording your words for an audio book and edit accordingly. Davie Richards, your main character, has been lauded by reviewers as having a dry wit, and the novel for offering surprising twists. Does that wit come naturally from your personality, or was it a stretch to create that voice and character? Any advice or comment on putting surprises in the storyline? My parents were serious people. I was brought into their lives to lighten things up. As a child, I kept a large scrapbook with newsprint pages filled with jokes, cartoons, and humorous quotes pasted inside. I listened to comedy albums and watched funny people on TV. I incorporated a lot of corny humor into a stand-up routine I performed for my parents in the living room of our family home. They were kind enough to laugh, which only encouraged me. My goal when I write is to make people feel something. There’s disagreement among professionals, but some say there are six basic human emotions: happiness, sadness, fear, anger, surprise, and disgust. Even thrillers that rattle your teeth with heart-pounding fear and anxiety will enhance their appeal with a moment of humor in the right place. Comedy is about timing and surprise. You laugh because you’re expecting something else. You can also surprise the reader by asking yourself the “What if” question. Avoid the first thing that pops into your head. It may be too predictable. Go in the opposite direction and see what happens. So, what is suspense? According to Elizabeth George, it’s simply the reader’s desire to find out what happens next. Giving people something to worry or wonder about keeps the pages turning. One of the most valuable lessons I learned from Elizabeth is when your story stalls it’s likely because you’ve played your hand too soon. Take back some information and reintroduce it by drip, drip, dripping it out. You have taught writing at various conferences. What have been your favorite topics to share and why? Setting. I write about Los Angeles because I live here and can go to the place where I’ve set a scene and use my senses to observe and take notes. I love setting so much that it’s a challenge to keep from larding the page with description that brings the action to a standstill. The balancing act is to use powerful telling details that reveal character or are essential to the plot. As an example, years ago I cut out an article about Port Said, Egypt, written by Jeffrey Fleishman for the Los Angeles Times because it was an amazing piece of writing about setting. I dig it out occasionally for inspiration. I can’t imagine a greater mentor for your writing than the amazing Elizabeth George. Can you share a bit of what that has meant for strengthening your novels and your career? I first heard Elizabeth speak long ago at a signing in Venice Beach. Years later, I was accepted into a private writing group she held in her home. During the nine years I was a member, she taught me volumes not only about writing but also about the writing life. She is a stellar teacher who acknowledges that you can’t teach the art of writing, but you can teach the craft of writing. Her advice was to take whatever I chose to write and make it as accomplished as possible. Her writing process is detailed in her book, Write Away. I’m a huge fan of her work, but I’m also honored to call her my mentor and friend. 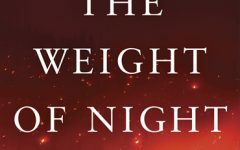 Any advice for other writers about balancing real life with the demands of a published author career, especially with the pressures of social media these days? Prioritize. Pace yourself. Learn to say no without guilt. Let’s face it. Many writers have day jobs, families, elderly parents, or cat hair on the furniture that needs to be vacuumed. Someone recently suggested that my daily postings to social media should be: Twice to Facebook, three times to Twitter, once to LinkedIn, three times to Google+, five times to Pinterest, and twice to Instagram. If that’s true, I’m a complete failure. I wasn’t even on Facebook until three years ago. I opened accounts on LinkedIn and Twitter, but rarely use them. There is nothing wrong with wanting to be a social media star. I’m not even saying that promoting yourself online won’t result in name familiarity and increased book sales—but it comes at a price. That price is your writing time. Some people can do it all. I’m not one of those people. I dabble online, but the bulk of my free time is spent writing. When can we expect other books in this series? The next novel in the series will be released sometime in 2017, probably in the fall. There’s no title or pub date yet but I’m excited about the plot and the issues it explores. I’ll be posting updates on my website, so stay tuned. 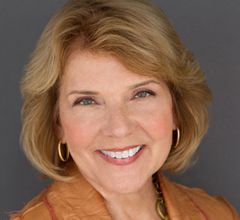 Patricia Smiley is the best-selling author of four mystery novels featuring amateur sleuth Tucker Sinclair. Pacific Homicide is the first of a new series about LAPD homicide detective Davie Richards and debuted on November 8, 2016. 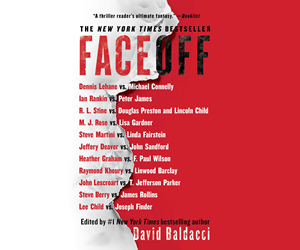 Patty’s short fiction has appeared in Ellery Queen Mystery Magazine and Two of the Deadliest, an anthology edited by Elizabeth George. She has taught writing at various conferences in the US and Canada. She served as Vice President for the Southern California chapter of Mystery Writers of America and as president of Sisters in Crime/Los Angeles.